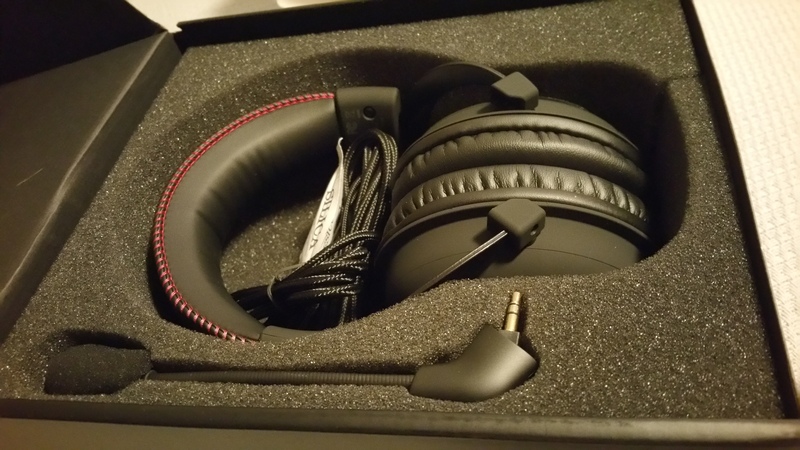 Back in March 2016, I picked up a Razer Kraken USB headset to replace my dying Logitech G930 (a nice wireless set that had 7.1 surround support) and was quite happy with it. Recently, though, the Kraken started having issues with the surround sound feature dropping in and out, and even when using the “regular” stereo audio, the sound quality was very flat and unappealing. I reinstalled all the drivers and did everything I was supposed to, but nothing worked. Finally, the microphone started having issues with bad feedback. In short, it was on its way out and sadly beyond the return period from the store I purchased it from. Several people noted that five months was a pretty awful lifespan for a headset like that, and Razer is normally a pretty respectable company. 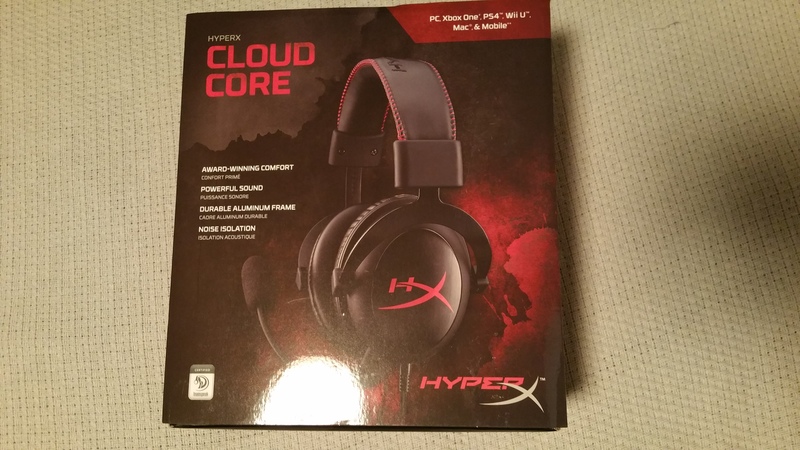 Regardless, I went on a short quest to find a good replacement set, and after a couple returns I came across the HyperX Cloud Core from Kingston. It’s come to my attention that Windows 8/8.1 and 10 have some issues with USB microphone devices. It’s an issue that Microsoft appears to be aware of, but has yet to fix after all this time. Essentially, my understanding is that it’s a combination of audio drivers, the actual USB device itself, and the type of PC sound card that you’re running. Some say that RealTek sound cards don’t currently jive well with Windows 8/8.1 and 10. However, I had no real issues with the G930 during its lifetime (late-2012 to March 2016) and it was a USB-powered device. The Kraken, until its unfortunate demise, also seemed to be untroubled. However, many other devices (including two that I returned before getting the Cloud Core) have encountered issues where, even with the recording volume maxed out, the microphone sounds super quiet or has an awful lot of feedback. I verified this with two computers running Windows 10 and they both had these problems. So, it was for that reason that despite my general love of the easy plug-and-play nature of the Kraken or another USB device, I went with a 3.5mm headset this time around. So, coming from the likes of the G930 and the Kraken, how does the Cloud Core stack up as both a listening device and audio recording/communication tool? Honestly, when I first set up the Cloud Core and started to play some music and even mess around with a couple computer games I was very impressed with the audio quality. The G930 and Kraken both had virtualized 7.1 surround sound support, and in the past I’d be quite disappointed listening to a “standard” headset, but the stereo playback right out of the box (just plug it in and go) is pretty awesome. The Core features 53mm stereo sound drivers, and the overall richness and deepness of the bass is fantastic. I set the playback volume in Windows 10 down to just 33% and find that even at that low of a level, the playback is quite loud and crisp. Unlike with some other devices which had issues with equalization, the Core never felt too loud or too quiet, so I’ve never had to adjust the volume to work with a source that was jarring in some way. The recording quality is also very good. Setting the microphone to 100% was laughably loud, and after some experimentation, I found that 90% was about the ideal recording level for my set-up. For whatever reason, 90% is significantly lower in volume than 100%, but still quite loud. Of course, your mileage may vary and it may depend on your sound card as well, so experimentation in this area is never a bad thing. What’s important to note here, though, is that other than a couple minor adjustments here and there in the sound panel, I really didn’t feel a need to mess with it much at all. Also, the Cloud Core didn’t come with any bloatware software that was “required” to enjoy higher end features, and in my book, the less you have to install the better. The headset features dual 3.5mm lines (one for the headphones and another for the microphone), but you can also use the single-line input if you plan on using this with a game console. The microphone, which features a nice little windsock, is removable so you don’t have to constantly have it in your face when not talking or recording anything. Finally, the earphones do a great job at noise cancellation, and the foam covers are very soft and comfortable, even after hours of extended use. 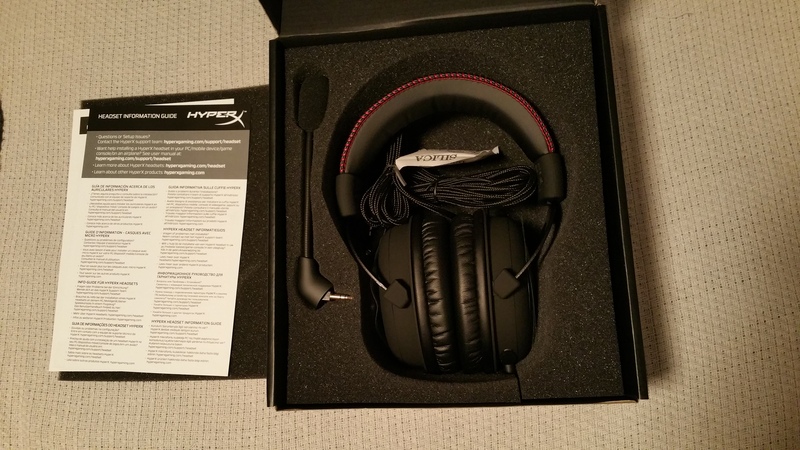 Overall, I’ve been very impressed with the Cloud Core from HyperX. The headset retails for around $70 at both Amazon and Best Buy, so if you find yourself in the market for high-quality headphones with a great microphone that won’t break the bank, the Cloud Core is one of your best options for under $100 USD.